The world chess champion Magnus Carlsen turned 24 last Sunday and had many reasons to celebrate: it was the most fruitful year of his young chess career. For nearly four years he has dominated the FIDE rating list as the world's top-rated player. He won two additional world titles in the rapid and blitz play last July. 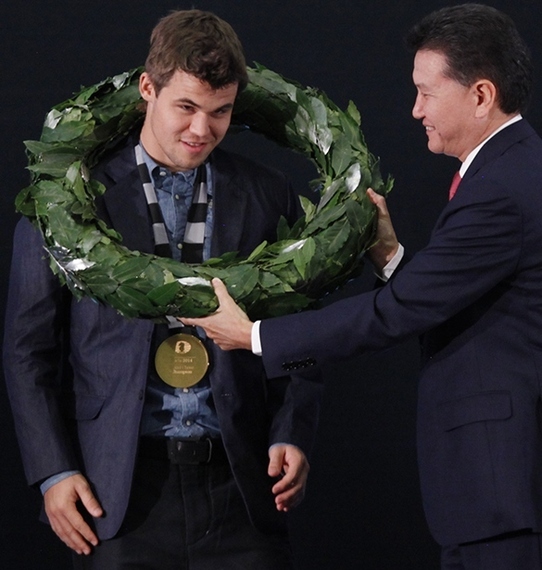 With the victory in Sochi last month, Carlsen secured the classical world title for the next two years. "I feel happy and relieved," said Magnus Carlsen after defending his title against the challenger Vishy Anand in the World Chess Championship Match that ended last month in Sochi, Russia. The final score was 6.5-4.5. The two point victory margin was widely predicted before the match. The age of the players was the main factor: in the battle of the generations Anand, 45, was likely to make more mistakes than the 23-year-old Norwegian. Last year in Chennai, India, Carlsen beat Anand 6.5-3.5 to become the world champion. Anand came to Sochi better prepared, posed more problems for his younger opponent and the match became tense and dramatic. It will be remembered for one fleeting moment in Game 6 after Carlsen allowed a three-move combination. It could have reversed the momentum of the match in Anand's favor, but he missed it. After the match, the Indian grandmaster was gracious in defeat, admitting that Carlsen was the better player. The match began with the drawing for colors performed by a magician. "In 1998 at the Chess Oscar ceremony," Anand remembered, "we had a magician and he stole my watch." Anand did better in Sochi: he kept his watch a drew the white pieces for the first game. The first two games gave us a preview of what to expect in the match. In Game 1, Anand opened with the queen pawn (1.d4) that gave Carlsen some trouble towards the end of the match in Chennai. 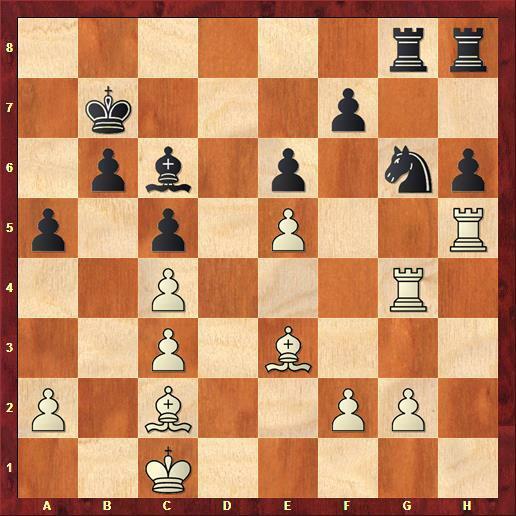 This time the Norwegian played the Grunfeld Indian, seeking a more dynamic play with the black pieces. Later in the match, he also added the solid Queen's gambit. In Game 2, Carlsen established 1.e4 as his main attacking weapon with white. He revealed only after the match that one of his seconds was Michael Adams, the top British player of the last two decades and a king-pawn specialist. Every world chess championship evokes the names of previous champions. Game 2 was played on November 9 - a memorable day. It was Mikhail Tal's birthday. He would have been 78 years old. A memorial blitz tournament in his name was being played in Sochi, won by the Azerbaijani GM Shakhriyar Mamedyarov ahead of Alexander Grishuk. On November 9, 1985, Garry Kasparov defeated Anatoly Karpov in Moscow and became the youngest world champion at the age of 22. In the last game of the match he played the Two Tower variation of the Scheveningen Sicilian and won. It had a huge influence on their future encounters. Unable to break it, Karpov never played the move 1.e4 in a world championship match again. It appeared in the first official world championship match between William Steinitz and Johannes Zuckertort in 1886. Black wants to capture the central e-pawn - a sound opening strategy for the last two centuries. After 128 years we were back where it all began. On November 9, 1989, the Berlin wall came down. The Germans were united and in other countries of Eastern Europe communism fell like dominos. But in the year of 2000 Vladimir Kramnik erected the Berlin wall on the chessboard and beat Kasparov in the world championship match in London. The Berlin defense was an excellent choice: Kasparov had to play without his favorite piece - the queen and Kramnik got his bishop pair. Kasparov could not win a single game in the match. After reigning for 15 years Kasparov had to part with the world title. Soon after the match the Berlin defense flooded the chess world. 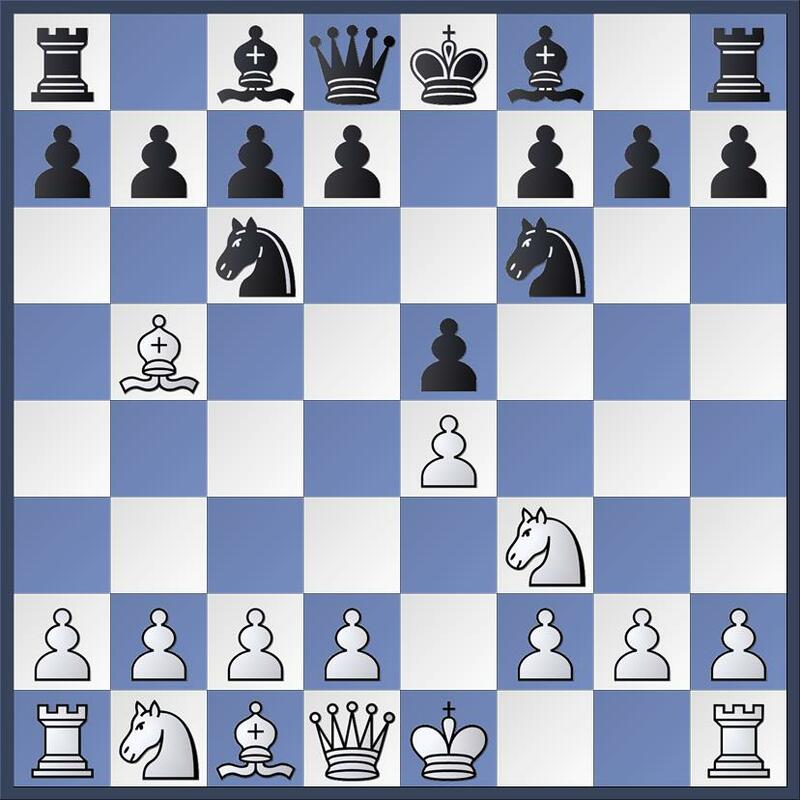 It appealed to many players either as a rich endgame or as a queenless middle game. Carlsen said after the match in Sochi that the Berlin defense suites his style well and he likes it to play it with both colors. In Game 2, Carlsen just protected his e-pawn with 4.d3. It was not an ambitious choice, but at the beginning of the match - in the shadowboxing stage - players like to gather information before they start hitting hard. Carlsen just played Qh5-e2, creating a battery of heavy pieces on the e-file. The game continued: 28...b5 29.b3 bxa4 30.bxa4 Rb4 31.Re7 Qd6 32.Qf3 Rxe4 33.Qxe4 f3+ 34.g3 h5? A mistake that ends the game immediately with the attack on the seventh rank. Black had to play 34...Qd2 but after 35.Qxf3 Qxc2 36.Kg2 Kh8 (36...Qxa4? 37.Qb7 wins.) 37.Qc6 Rg8 (37...c4 38.Re8+-) 38.Ra7 white has a clear advantage. After the final blow 35.Qb7, black resigned. The commentators brought in another world champion, Alexander Alekhine, and his heavy formation. Alekhine just played his queen to c1, creating a formation of heavy pieces. After 26...Rbc8 27.Ba4! threatening to win outright with 28.b5, black had to give up a pawn. 27...b5 28.Bxb5 Ke8 29.Ba4 Kd8 30.h4! Black will soon run out of pawn moves on the kingside and white will win material with b4-b5. Black resigned. The heavy piece line-up on the first three ranks was know as Alekhine's train with the locomotive (the queen) pushing two wagons (the rooks). It is also known as Alekhine's gun, a name that was appropriated by a heavy metal band from Brooklyn. The title of the world champion carries weight. Otherwise we would have to call it Blackburne's gun, since the man nicknamed "Black Death" grouped the pieces exactly as Alekhine did later already in Paris in 1878 against Rosenthal. It took Blackburne more time to finish his opponent: 24...c6 25.Bf2 Nc8 26.Bf1 Bf7 27.Nb2 Be6 28.Nd3 Qe8 29.Be2 Qe7 30.Nb4 Bd7 31.Bf3 Qf7 32.Bh4 Ne7 33.Re2 Qe6 34.Bxe7 Qxe7 35.e6 Be8 36.Bxd5 cxd5 37.Nxd5 Qd6 38.e7 Nc6 39.exf8Q+ Kxf8 40.Ne3 Nxd4 41.Rd2 Qxf4 42.Qf1 Qe5 43.Rcd3 Re7 44.Nc4 Ne2+ 45.Kh1 Qf4 46.Rf3 Qe4 47.Rxf5+ Rf7 48.Rxf7+ Bxf7 49.Rxe2 Black resigned. We saw the formation used for a queenside invasion in the game of two famous world champions, Bobby Fischer and Boris Spassky. 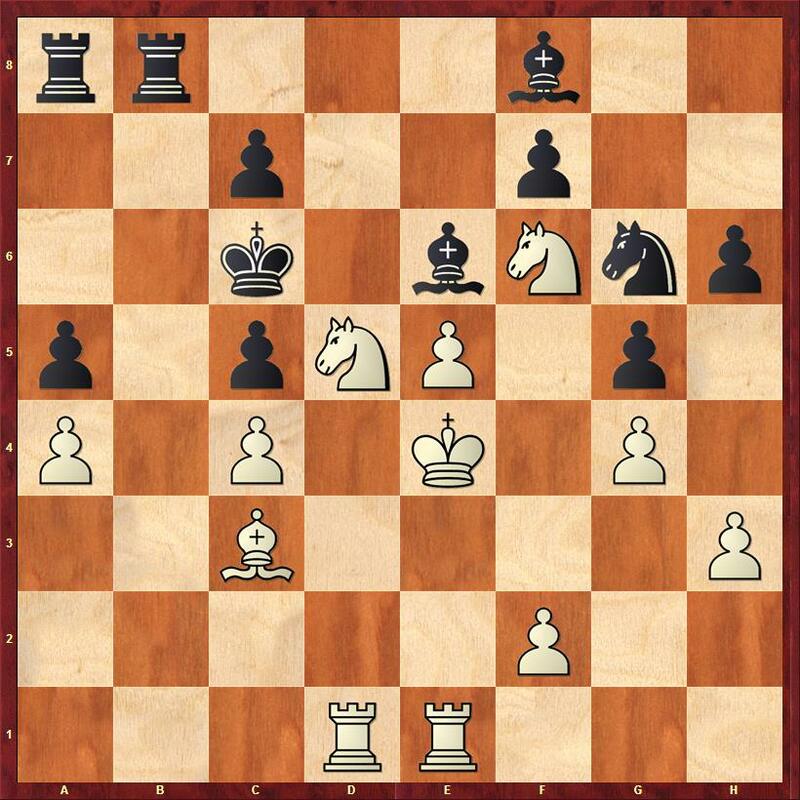 The Alekhine formation can be deadly on the kingside and often leads to mating attacks. The game finished: 34.Bc3 hxg4 35.hxg4 Rh2+ White resigned. Watching Game 2 was an "old man with white hair" as Carlsen put it. It was Boris Spassky sitting among the spectators. Was Boris thinking about his first world championship against Tigran Petrosian in 1966? I remember it well, having covered it for a Prague daily together with Salo Flohr, the 1937 FIDE challenger to the world champion Alekhine. Or perhaps the Match of the Century played against Bobby Fischer in Reykjavik in 1972 crossed Spassky's mind? In 1974 Bobby Fischer asked FIDE to play the world championship match to 10 wins, not counting draws. If each player wins nine games the title would remain with the world champion. It was rejected and in 1975 Fischer decided not to play the match with Karpov. "It can take six months to win ten games," I argued in Pasadena in 1978. I played the U.S. Championship there, but during the evenings Bobby and I had dinners, discussing all kinds of things. "No, not if both players fight," he countered. "The baseball season takes a half year and nobody complains." 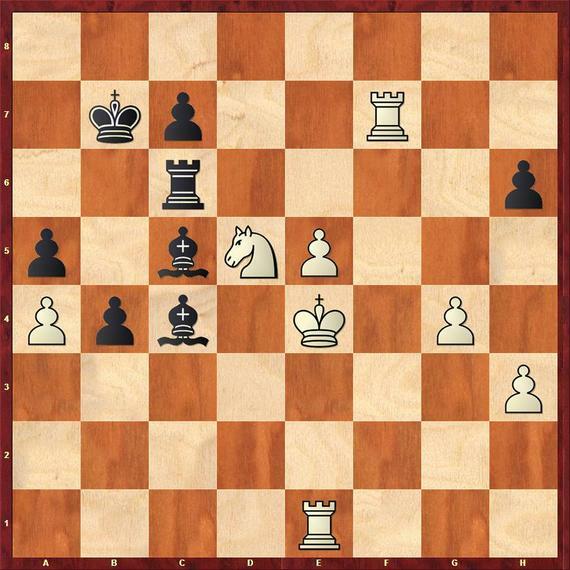 Fischer's reason for longer matches was to determine who is the better player and to eliminate accidental wins, for example falling into an opening trap or tripping over unsuspected novelty. His invention - the Fischer Random - wipes out the opening preparation. Bobby would never agree to play a 12-game world championship. He would point to Game 3 Carlsen and Anand played in Sochi. After 26 moves the Norwegian grandmaster was in dire straits right from the opening and lost rather quickly without a fight. 26.Rc6! Almost identical position appeared in the game Tomashevsky-Riazantsev, played in Moscow in 2008. 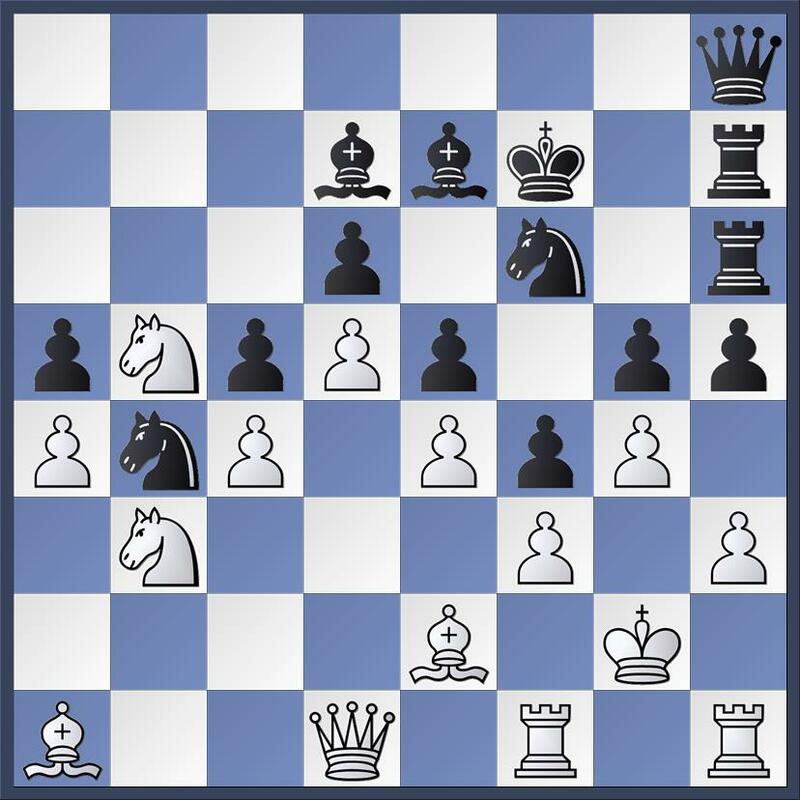 The only difference was the position of the h-pawn on h3. Carlsen's seconds could have caught it, but they didn't and the finish was painful. 26...g5 27.Bg3 Bb4 28.Ra1 Ba5?! 29.Qa6 Bxc7 30.Qc4 e5 31.Bxe5 Rxe5 32.dxe5 Qe7 33.e6 Kf8 34.Rc1 Black resigned. "When something goes wrong, it's always my fault," Carlsen softened the blow. The match was now tied. The turning point of the match came during Game 6. Trying to improve the position, Carlsen marched his king to the wrong square. It was a mental slip, an inaccuracy that should not happen. Anand didn't expect a three-move combination that would not only bail him out but would give him a big advantage. It was not there before, but Carslen made it possible and all India held its breath. Is Vishy going to find the refutation and punish Carlsen for his mishap? In one minute, in which every second felt like eternity, Anand played a pawn move and Magnus escaped. When both players realized the double-blunder, Vishy's resistance collapsed and he lost. 26.Kd2? a4? Missing 26...Nxe5! 27.Rxg8 Nxc4+ 28.Kd3 Nb2+ 29.Ke2 Rxg8 with good winning chances. 27.Ke2 a3 28.f3 Rd8 29.Ke1 Rd7 30.Bc1 Ra8 31.Ke2 Ba4 Anand lost the thread. His position quickly collapses. 32.Be4+ Bc6 33.Bxg6 fxg6 34.Rxg6 Ba4 35.Rxe6 Rd1 36.Bxa3 Ra1 37.Ke3 Bc2 38.Re7+ Black resigned. After 38... Ka6 39.Rxh6, threatening 40.Bxc5, white has too many pawns. Inaccuracies, mistakes or just plain blunders make chess history. In the sixth game of the 1951 world championship match, David Bronstein made an unfortunate king move (57.Kc2) and Mikhail Botvinnik punished him. 57.Kc2? 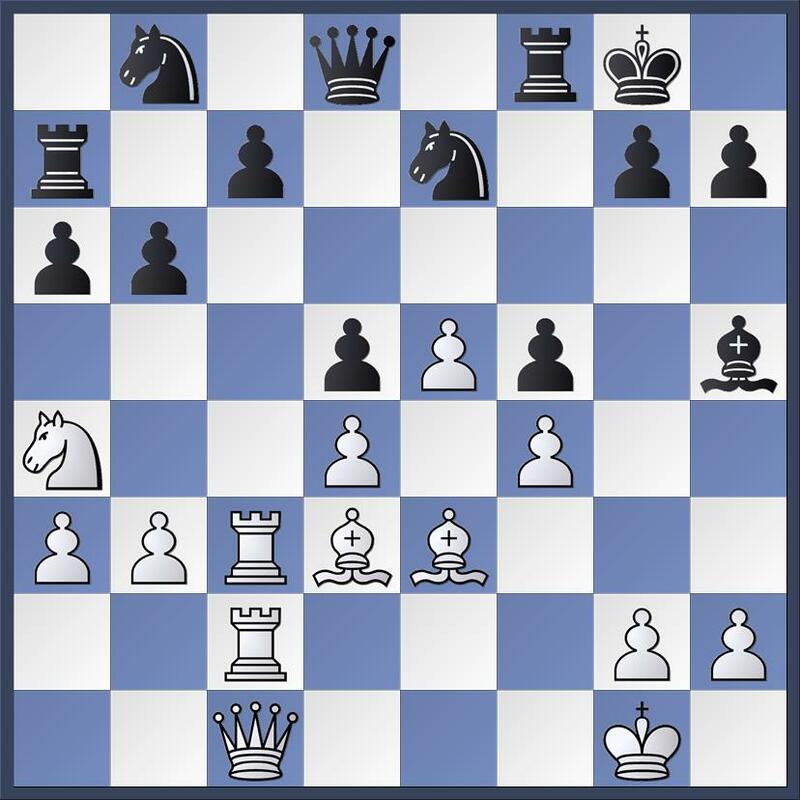 White had a draw after 57.Ne6+ Kf3 58.Nd4+ Kf2 59.Ka4 e2 60.Nc2 e1Q 61.Nxe1 Kxe1 62.Kxa5 Kd2 63.Kb4 b6. Botvinnik played 57...Kg3! and white resigned. The passed e-pawn queens. 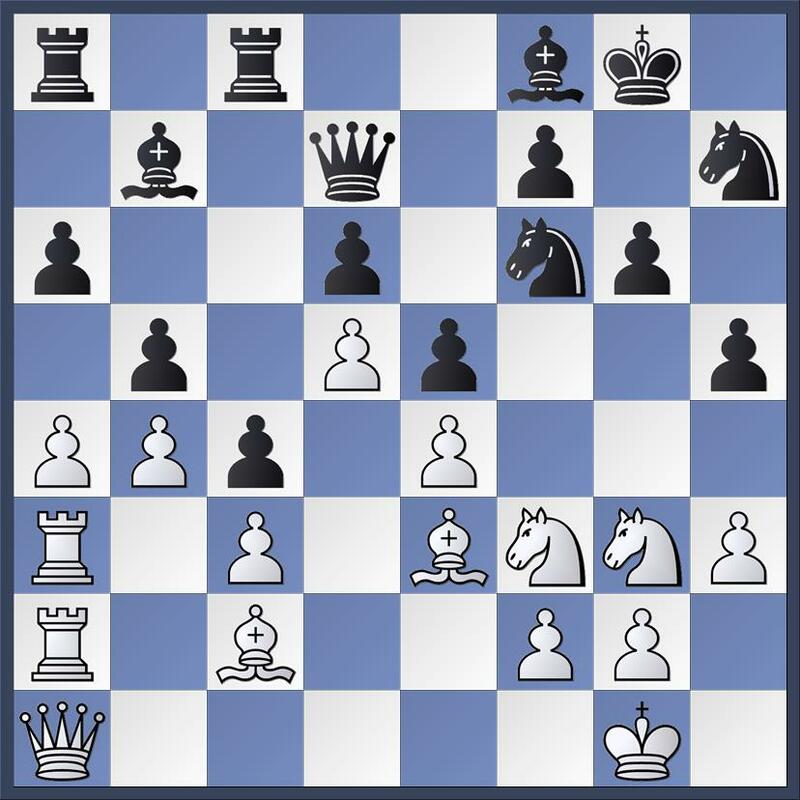 After experimenting with the Sicilian, Anand returned to the Berlin defense in Game 7. Sensing his opponent vulnerability, Carlsen took Anand on a long journey lasting 122 moves. But the Norwegian was unable to win the following unusual endgame. It was the Berlin wall at its best or worst. "It was a key game," said Carlsen later. Had he won it, the match would have been over, he believed. It should have tired Anand out; instead, it looked like it sapped energy from Carlsen. Anand was still in the match, drawing the next three games. 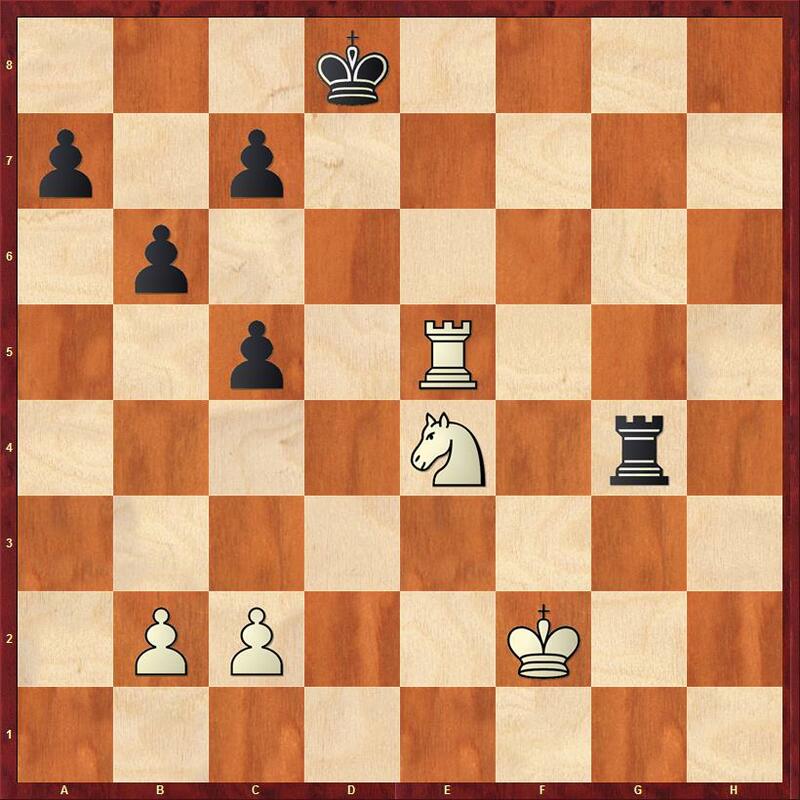 In Game 11, the last encounter of the match, Anand build the Berlin Wall again and played well in a tense battle. It could have gone either way, people thought, but Anand's nerves cracked first. Emotions got the better of him. He may have thought about Tigran Petrosian, a world champion who made living out of exchange sacrifices, and made a Petrosian-like sacrifice, plugging the b-file, perhaps thinking it was the best way to force Game 12. At a first glance the sacrifice looked playable, but it was not necessary and it played into Carlsen's hands. The Norwegian loves material. He calmed down and played the technical ending well. Anand missed better defenses and Carlsen won the game and the match. In the spirit of Tigran Petrosian, but it does not quite work. 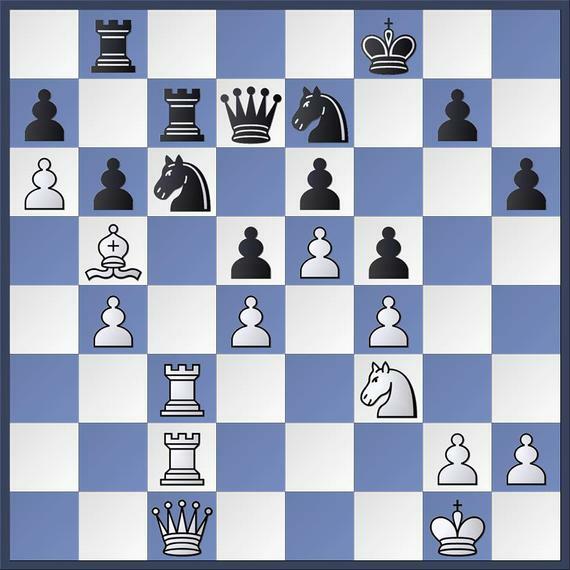 If Anand wanted to sacrifice the exchange at all costs, he should have done it this way: 27...Rb3 28.Rb1 Ra3 29.Ra1 Rxc3 30.Nxc3 Bxc4 with compensation. As long as the position remains closed, Anand can hope for Game 12. But Carlsen finds a nice way to proceed. Anand wanted to free the square c5 for his dark bishop. The computers prefer 28...axb4!, for example 29.Nh5 Rxa4 30.Ra1 Bxd5+ 31.cxd5+ Kb5 with good chances to equalize. 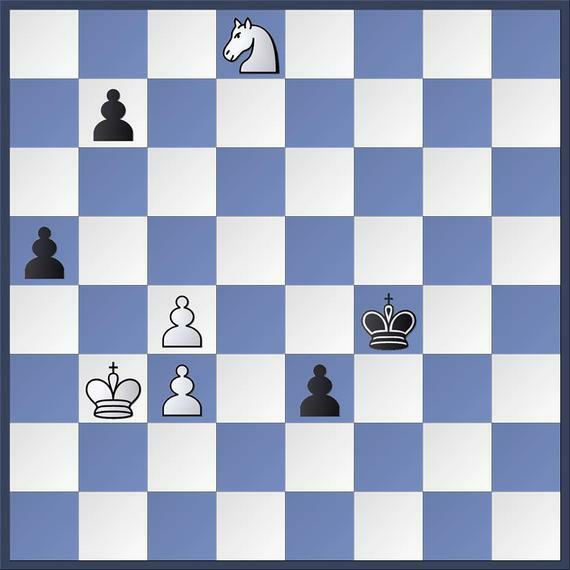 Preparing to open the kingside with f2-f4. A. 30.f4 gxf4 31.Ndxf4 Nxe5! 32.Kxe5 Bxg4+ 33.Kf6 (33.Kd4 Rd8+ 34.Nd5 Bxh5-+) 33...Bxd1 34.Rxe8 Bc5 with a messy position in which the passed b-pawn may compensate for the extra rook. B. 30.Kd3!? Kb7 31.Kc2 Bd7 32.Kb3 securing the queenside and preparing f2-f4, white's chances are better. 30.f4 gxf4 31.Nhxf4 Nxf4 32.Nxf4! Bxc4 33.Rd7! 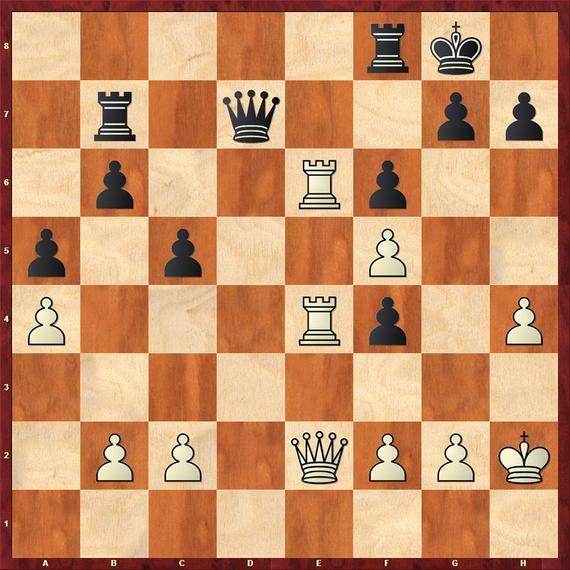 The pawn on c7 will be under great pressure. 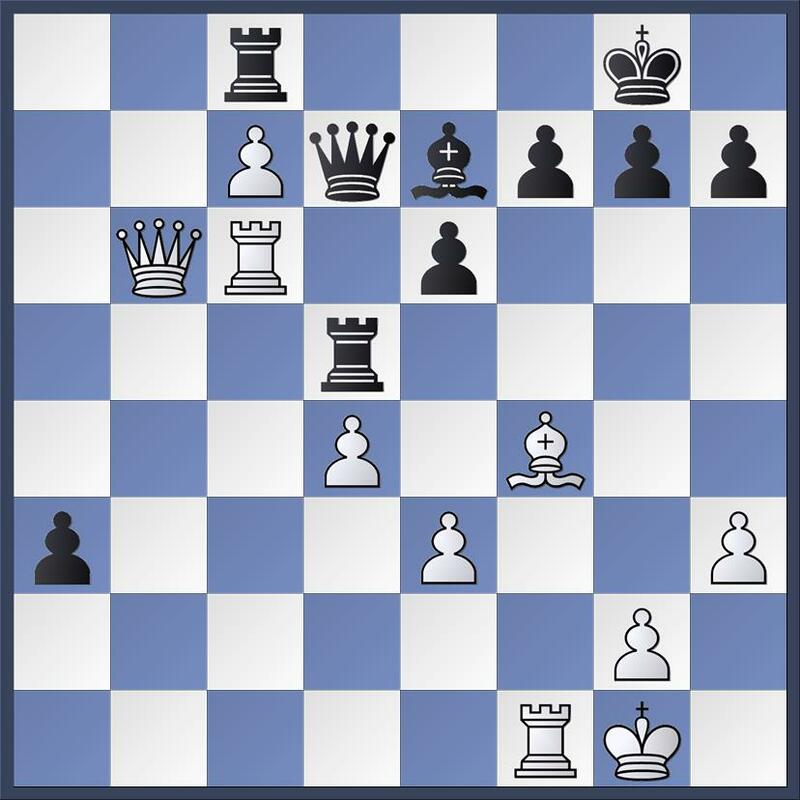 Or 33...Rc8 34.Rc1 Ba2 35.Nd5 b3 36.Nc3 wins. 38.Nb5! After 38.Rc1 b3 39.Nb5 also wins. 38...Bxb5 39.axb5+ Kxb5 40.e6 The kingside pawns decide the outcome. 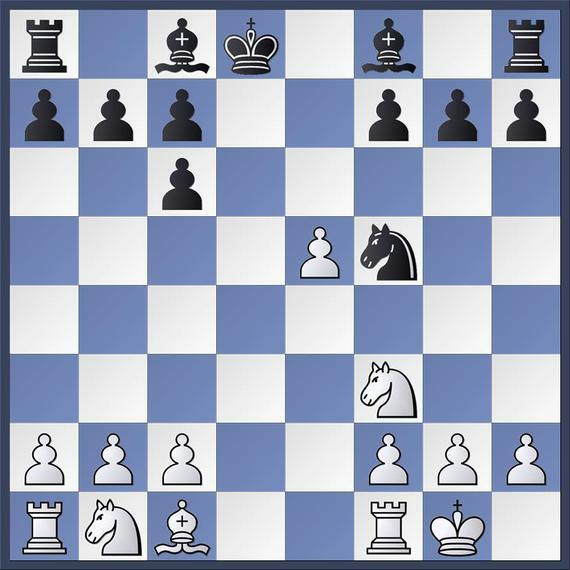 40...b3 Or 40...a4 41.Kd3 Be7 42.h4 a3 43.g5 hxg5 44.hxg5 b3 45.g6 a2 46.Kc3 a1Q+ 47.Rxa1 Bf6+ 48.Kxb3 Bxa1 49.e7 wins. 41.Kd3 Be7 42.h4 a4 43.g5 hxg5 44.hxg5 a3 45.Kc3 Black resigned. After 45...Bb4+ 46.Kxb3 Bxe1 47.e7 white queens. Carlsen's next world championship challenge comes in 2016. Who will be his opponent? Magnus named Fabiano Caruana, Levon Aronian and Alexander Grischuk. He didn't mention anybody from the forty-something group, players such as Anand, Kramnik, Veselin Topalov and Boris Gelfand. And Carlsen also skipped Hikaru Nakamura who won a $100,000 friendly match against Aronian last month in Saint Louis.